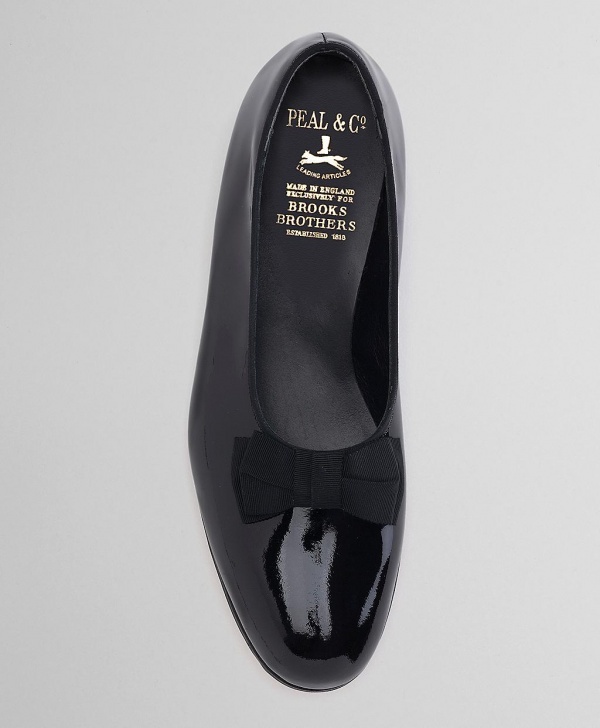 Let’s take a look at these Peal & Co. formal pumps with grosgrain ribbon bows. 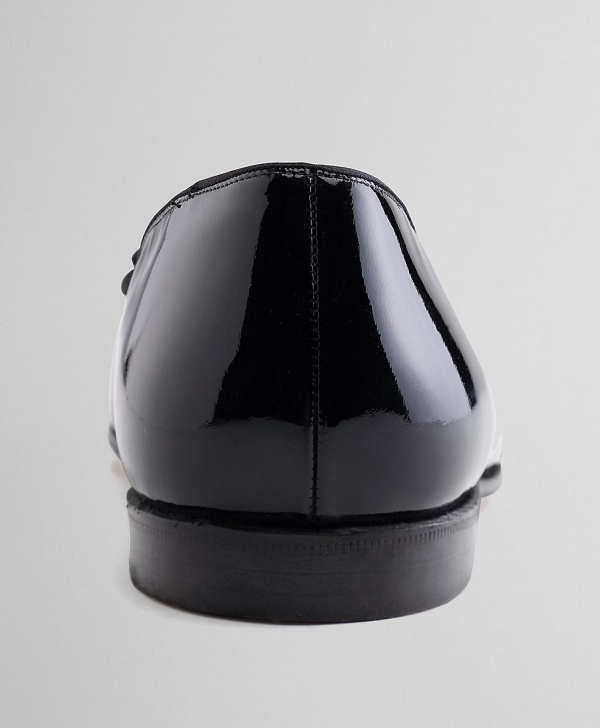 A classic black tie shoe, these pumps are part of a proud tradition that Peal & Co is not afraid to continue. 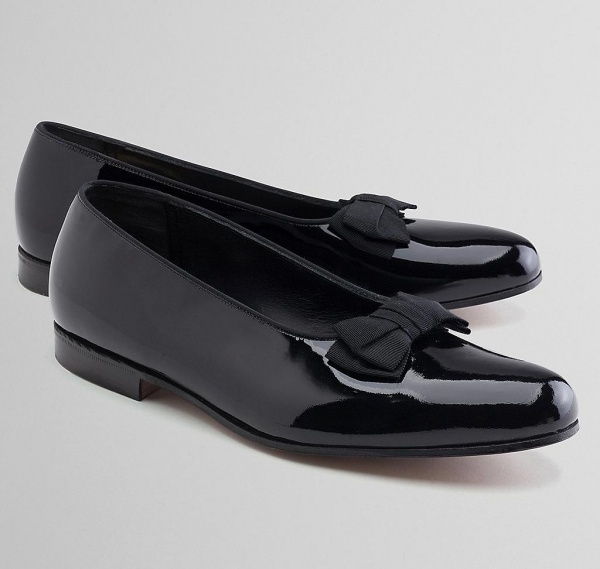 Featuring rich patent leather and a slight elegant ribbon, you can find the shoe at Brooks Brothers now. This entry was posted in Footwear and tagged Brooks Brothers, Peal Co. Bookmark the permalink.